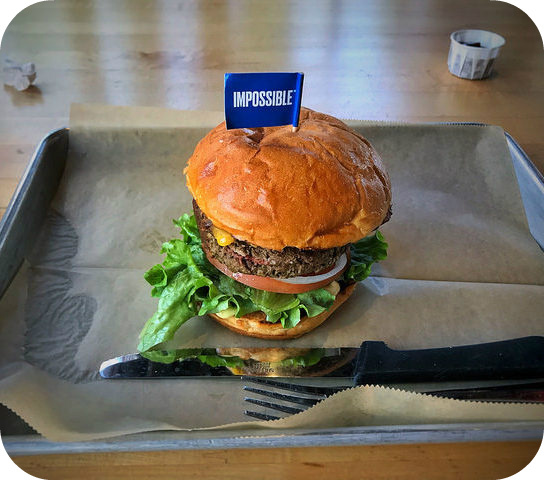 Nearly four years ago, we published a blog post centered on companies like Impossible Foods and Beyond Meat who claimed to be creating the future of food. Both of these startups developed plant-based alternatives to meat that looked and tasted similar to the real thing, an idea which seemed straight out of science fiction at the time. Fast forward to 2019, though, and now consumers can purchase Beyond Meat’s burger patties at any Whole Foods location that manages to keep them in stock. Sales of the patties increased 23 percent from 2017 to 2018 as the grocery chain struggled to keep up with demand. In fact, Beyond Meat had to postpone its expansion into U.K. stores due to a lack of supply, leading it to triple its production capacity last year. American eaters can also purchase an Impossible Burger at more than 5,000 restaurants across the country, included fast food chains like White Castle. Analysts credit the growing success of these plant-based proteins to marketing campaigns that target meat eaters rather than strictly vegetarians. “It’s a real shift in the meat alternative category from what it had been for decades, where most of the products were designed mostly for vegetarian and vegan audiences and weren’t trying to directly replicate conventional meat,” said Caroline Bushnell, an industry expert who works at the nonprofit Good Food Institute. Why do companies like Beyond Meat and Impossible Foods market their products to meat eaters rather than focus strictly on vegetarians? Which stage of the product life cycle are plant-based meats currently at? Source: Adele Peters, “2019 Will Be the Year Alt-Meat Goes Mainstream,” Fast Company, December 26, 2018. Photo by T.Tseng. companies like Beyond meat and Impossible foods are targeting meat eaters more than vegans because they outnumber them buy a lot so meat eaters are a larger market than vegans alone so more sales and potentially more profit, and these companies focus on meat eaters in their marketing strategies because meat eaters will become reliable costumers if they actually like the product. i think of it like a vegan has already adapted to certain food habits and the idea of a burger with or without meat products may not be appealing. while a burger lover feeling guilty about eating dead animals will consider switching to plant based meat if it tastes the same as the original. i think plant based meats are becoming more popular and if some big food corporate decides its a profitable idea to adopt, it may become the norm one day, and it would be an option next to steaks and pork chops at the grocery store for meat eaters to consider and eat with no guilt. 1. )Why do companies like Beyond Meat and Impossible Foods market their products to meat eaters rather than focus strictly on vegetarians? A.) I think these companies focus more on meat eaters because they have a bigger audience than they would if they targeted vegetarians. Also, their supply is based more on meat-like alternatives that still has qualities of meat instead of straying completely away from meat. They must know how hard it is to completely convert into a vegetarian and they understand that most people probably want to make healthier decisions if not becoming full vegans. 2. )Which stage of the product life cycle are plant-based meats currently at? A.) According to the article, plant-based meats are currently in the infancy stage of it’s life cycle but becoming more popular. Companies like Beyond Meat and Impossible Foods market their products to meat eaters because the market is readily available with a large demand in its segment. The company targeted meat-eaters because that is the market that would be interested in meat substitutes. Vegetarians, who do not eat meat, would not be looking for meat substitutes. Therefore, the company is marketing to the group that would most likely be interested in its product.